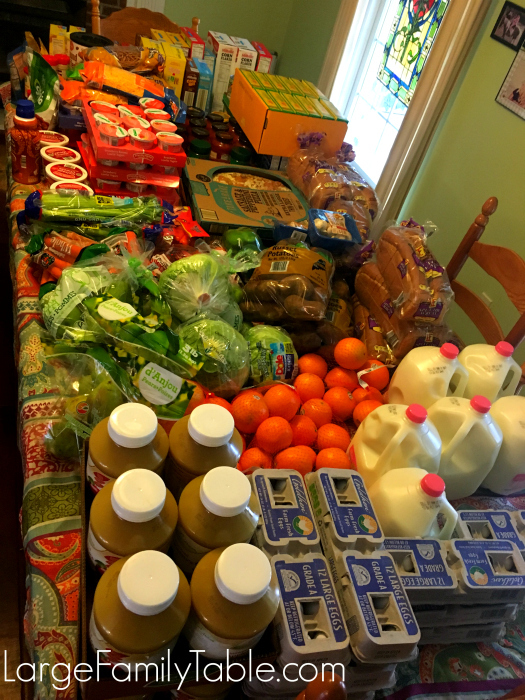 Large Family $336 Two Week ALDI Grocery Shopping Haul | Life Is Currently CRAZY Edition ??? 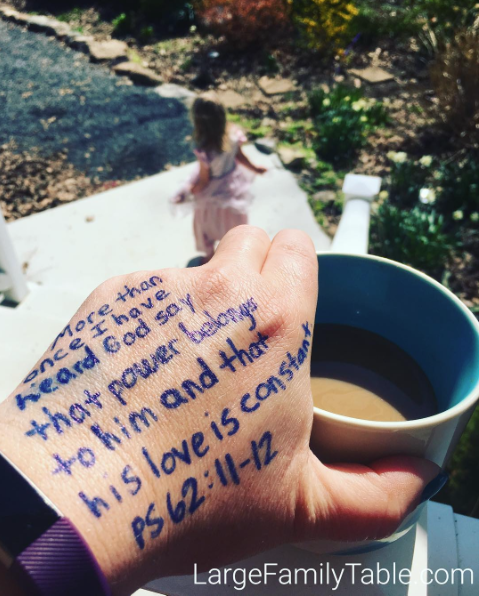 I shared last week that life has just been a little wild and crazy these last few weeks. I thought I was getting way ahead in some aspects like I finally got the Large Family Table Shop open with lots of fun freebies to celebrate. But besides that my husband’s college schedule has been put into overdrive with his graduation happening in just a few weeks. I’ve had issues on the back end of this blog (as in I couldn’t get logged in for several days). Then my (affiliate link) new Go Pro Hero 5 has given me some issues with transferring photo files onto my Mac which has slowed down my editing and uploading efforts. 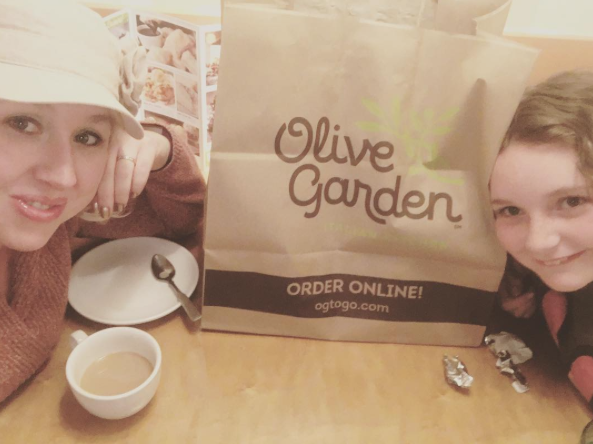 I had an out-of-state speaking trip that I took our 10-year old daughter on with me last weekend. It was lots of fun and had adventures of its own (like my bank canceling my business bank card and issuing me a new one, which I didn’t know about until Naomi and I were already on the road, sigh). 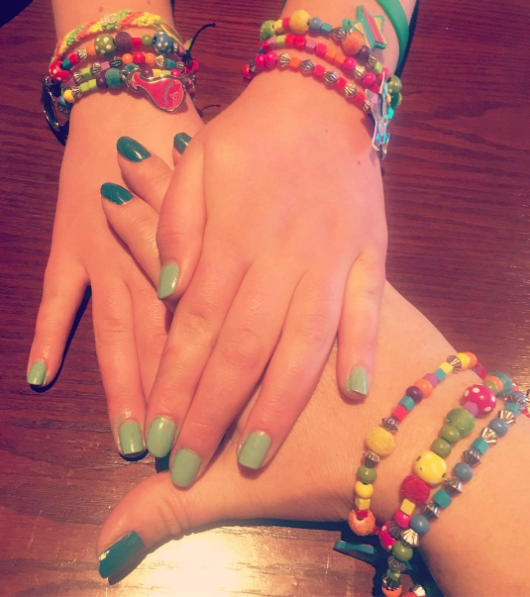 However, Naomi and I had a great girl trip full of painted fingernails, bracelet making, and more. This week the family and I are working on spring cleaning projects (get the free large family spring cleaning pack here). I’m also tackling turning my walk-in-closet into my home office because my pregnancy hormones have decided now is the time. Totally sensible. Once the office project is done we can chill for a brief moment. Next, we’re flipping around and leaving on another speaking trip to the Teach Them Diligently conference at the Kalahari Resort (let me know if you’ll be there!). All that to say, those are just a few of the current dynamics of my whole, “Life Is Currently CRAZY Edition ?? ?” title within this grocery haul. This haul is actually from March 19, 2017, before things started to explode. Most of these haul items are gone as of this publishing date. My husband and oldest son went last evening and did an updated enormous two-week grocery haul at Walmart for me. I have no pictures, break down, and honestly not a tight meal plan with that grocery haul. But, teamwork makes the dream work, since we have a lot of life going on right now! Now, don’t think I’m complaining. I am not, promise. I’m just real that I’m juggling some extra, extra, overflowing life right now and that explains a slow down in videos, etc. I’m keeping my mind and heart focused on what matters most and taking breaks to play in the forest sunshine and eat ice cream on the front porch, too. I usually list all of our meals and snack plans for 2+ weeks. 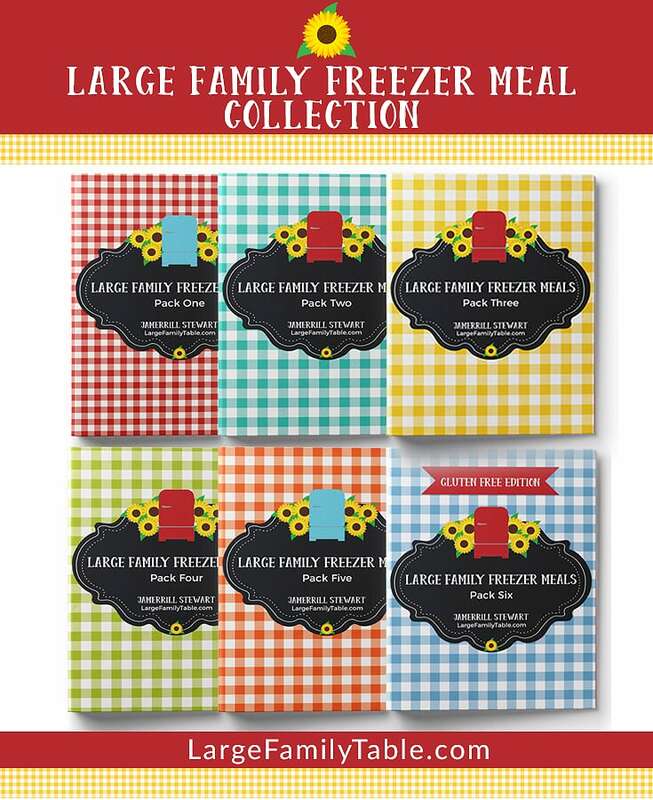 You can look through my past large family meal plans. I’m not reinventing the wheel right now. Just keeping things as simple as possible. All the recipes I mention in the video can be found here under large family recipes. 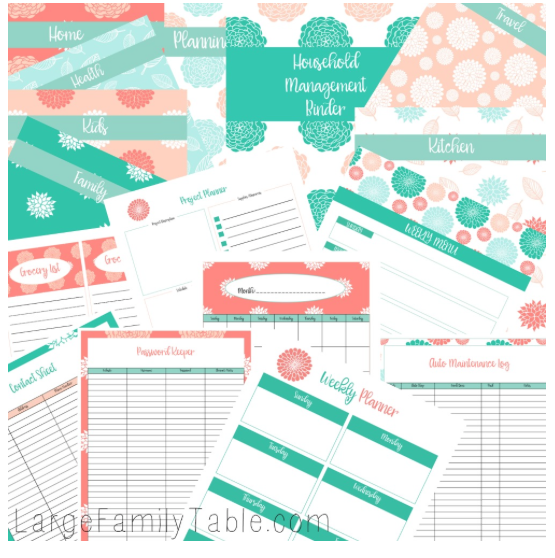 I also mention in today’s video that you can currently get The Beautiful Household Management Binder Kit for FREE ($12.99 value). Pick that up here! 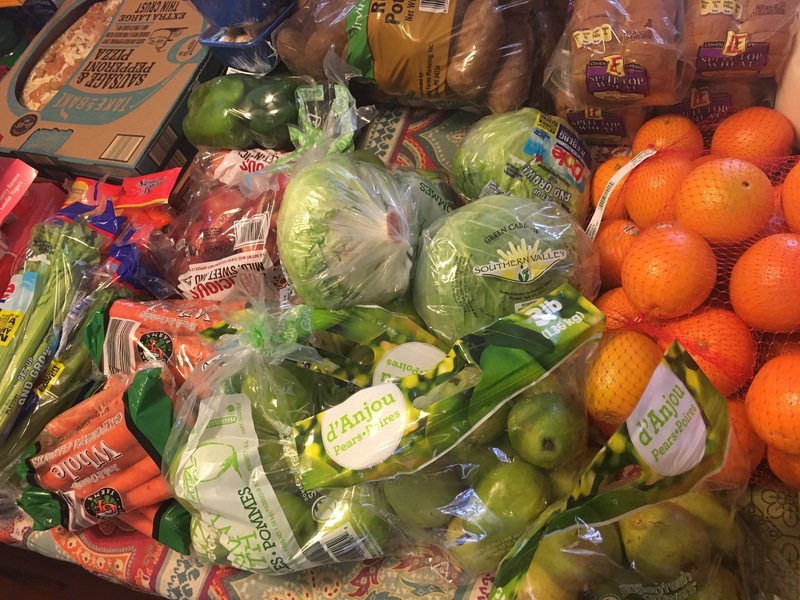 Watch the full Large Family $336 Two Week ALDI Grocery Shopping Haul | Life Is Currently CRAZY Edition here! Your milk prices there are exceptional. Here in Maine it is almost $4 a gallon most places. Can not say I blame you. Target dropped eggs down to $0.50 a dozen here recently but I missed the sale. Warming people up to coloring all those eggs for Easter.